While I am a margarita maven for most months out of the year, I love to switch it up for the holidays! 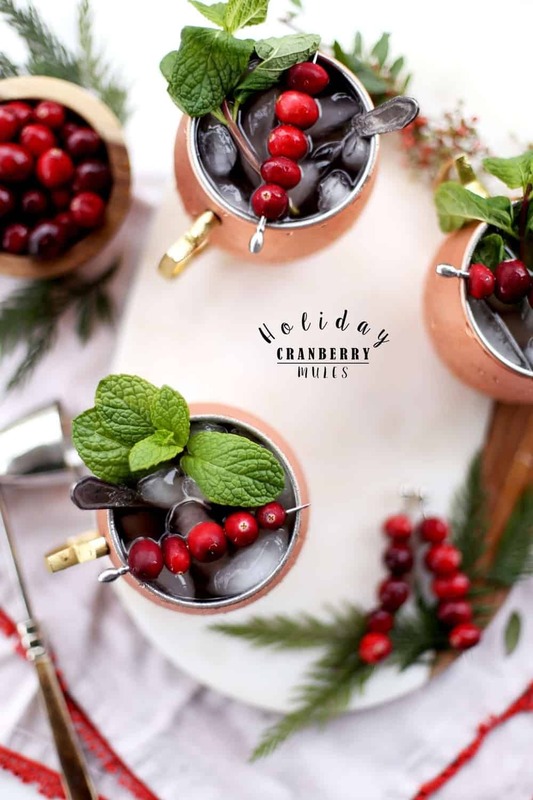 Cranberry Moscow Mules are on my holiday cocktail list this year. A classic mule is probably on my top three most ordered cocktails at a bar. I’m a huge fan of ginger and I love the spiciness from the ginger beer that it brings to the cocktail. It also cuts out any vodka taste for an ultimate smooth drink. Red and green are classic holiday colors but I also love to add in a shimmer or glitter to anything decorative! These mules have a great holiday scheme going for them right? 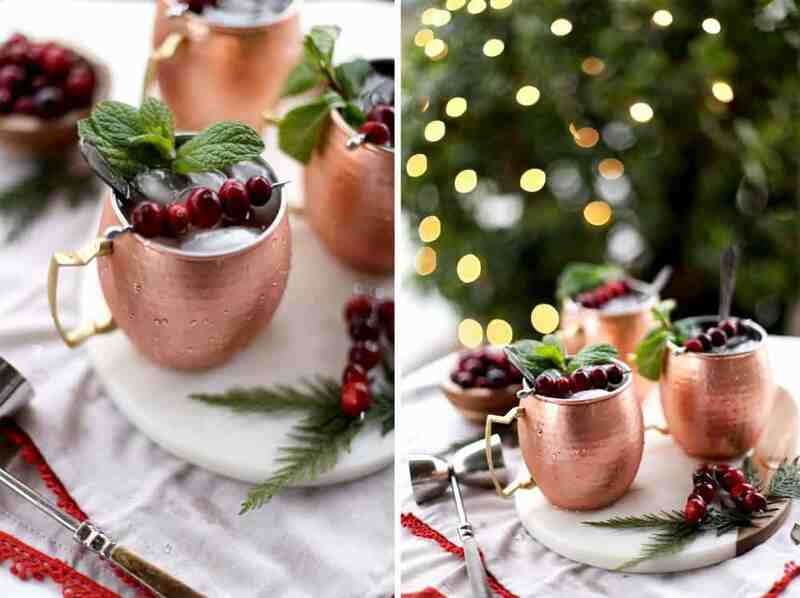 The bright red and green in the garnish and the glitzy copper mug are a great combo! I also wanted to wish all of you a wonderful holiday with your friends + family! I hope you find ultimate relaxation with a large dose of fun this week! Make memories, laugh until your tummy hurts and be so very grateful for all that you have. Give all ingredients a strong stir and top with fresh mint leaves and cranberries!